If you cannot find your card to pay for your British Gas energy, you do not need to worry too much. Even if your card has been stolen rather than lost, there is still something you can do about it. Whether it is a payment card or a top-up card for putting credit on a pay-as-you-go meter, British Gas can help you out. It shouldn’t take too long to get a replacement card, and there are always other options if you need to pay for energy before you receive a new card. British Gas can work out your bill so that you pay the same amount either every 2 weeks or every month. They will give you a payment card for this purpose. However, you have a choice of ways to make your regular payment when you have a card. The benefit of a payment card is that you can take it to a PayPoint outlet or Post Office to pay, or do it through your online British Gas account or the app. If you lose the card, you can just ask British Gas for another. You can order a replacement payment card online for no cost. Log into your account, select “Manage Account,” go to “Your Payments,” and click on “Order a new payment card.” You will need to confirm your name and your delivery address and then submit. You can sign up for an online account using your Customer Reference Number if you don’t have one yet. The new card can take up to 10 working days to arrive in the post. If you need to pay for energy in the meantime, you can do it online or over the phone with your debit or credit card details. You can also call British Gas to order a new payment card, but they might charge you £5 for this. If you have a pre-payment meter and a Pay As You Go energy tariff, your British Gas card will be a different type. This makes it easier to get a new card if you lose yours or it gets stolen, because you can just go to a PayPoint outlet. Any PayPoint outlet where you can top up your card should be able to provide a new one for you for free. However, you will need to phone British Gas first. Write down the serial number from your meter (the number which usually begins with a letter) so you can provide it when they ask. They will then give you a reference number. You must wait at least 30 minutes for them to give this number to PayPoint as well. Then you can go to your local PayPoint outlet and collect a new card or key for your meter. Bear in mind that when you follow the steps above, you will still need to pay for credit for the new card in order to top up your meter. The same applies if you call British Gas to ask for a replacement top-up card from them. They can send you a new one in the post in 3 working days. In either case, you will need to insert the card into your meter and leave it for one full minute in order to activate it. Once activated, you can use it to top up as normal. You can also top up at a Post Office, but you can’t get a new card there. If there was credit on your card when you lost it, which you didn’t get to use, call British Gas. They will refund any lost credit as long as you have evidence of it, such as a receipt number. 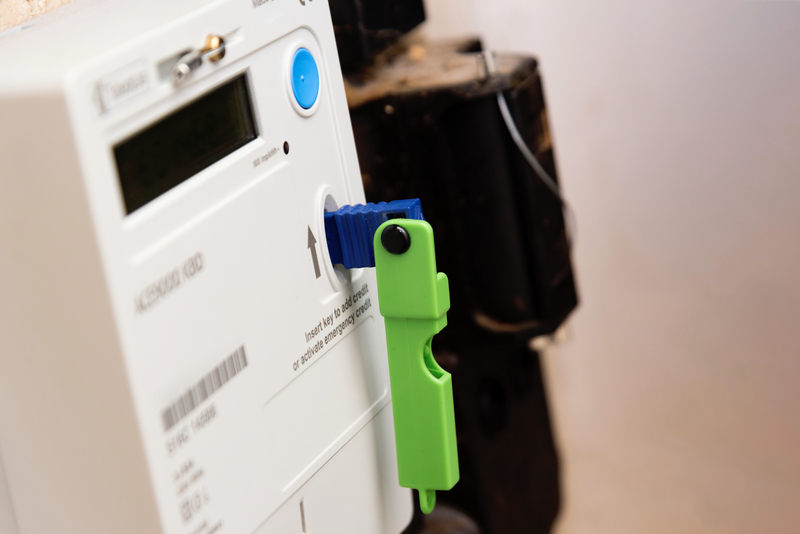 If you are a Smart Pay As You Go customer with a smart meter, you can top up in other ways in the meantime. This includes on the British Gas website, through the app, and over the phone. Call them to get a smart meter.